If you are a driver in the Greeneville and Kingsport, TN area looking to upgrade your ride, then you need to visit us at Wallace Nissan of Kingsport and discover the new 2019 Nissan Versa Note Hatchback. The new 2019 Versa Note has been engineered by Nissan to give you a sportier drive with excellent fuel efficiency. Take advantage of Versa Note’s Nissan’s Intelligent Mobility and connect your smartphone to the 7’’ touchscreen display and enjoy all your favorite music, apps and more while on the go. We invite you to visit us at Wallace Nisson of Kingsport and experience the redesigned power steering of the new Versa Note that provides a direct response for a more precision handling experience. Schedule a test drive of the new 2019 Nissan Versa Note and speak to one of our sales team members to learn more about the available performance features. Another feature that is sure to impress you includes the improved interior design. 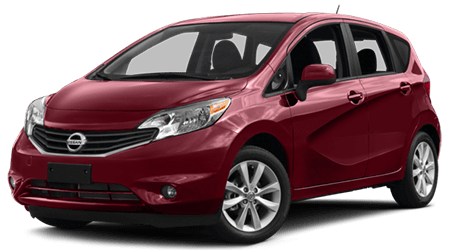 The new 2019 Nissan Versa Note comes with a standard Rear View Monitor, BluetoothⓇ Audio and SIRI™ Eyes Free features. It’s features like these that make driving the new 2109 Nissan Versa Note a pure joy. And with us at Wallace Nissan, we invite you to enjoy the upgrade to the new Versa Note from your current vehicle. Use our online Trade-in Calculator to see the value of your current car from the comforts of your kitchen. We invite you to view our massive inventory of new and used vehicles online at our Wallace Nissan of Kingsport dealership website. Our inventory section has been designed to make finding your next sedan, truck or SUV a breeze. Just use our filtration system to sort by make, model and trim to see what vehicles await you. We also encourage you to apply for auto finance from our website. Now you can find simple auto loans in your area without leaving home. Make your visit our Wallace Nissan dealership a simple and effective one today!